Are we already in May?? How is that possible?? It seems like only a few weeks ago, I was dreaming up my House on a Hill block. 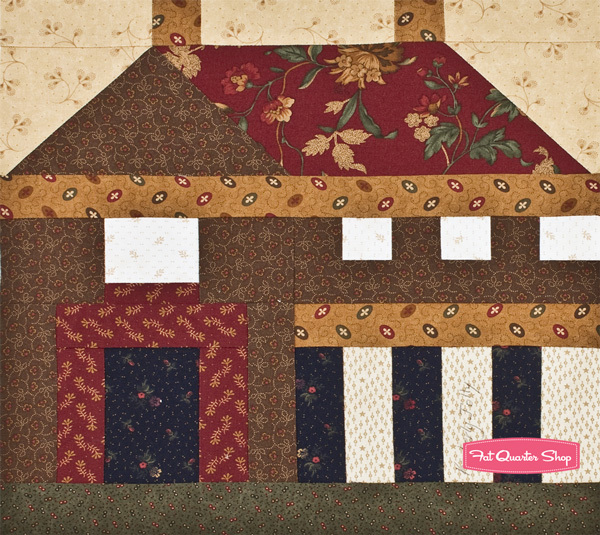 I have wanted to do a house block for a long time, and this seemed like the perfect opportunity to create a traditional house block with little accents. 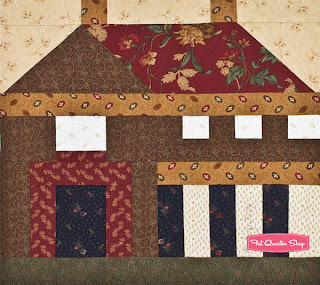 My original block uses a mix of Warm Memories and Seasonal Little Gatherings. I made up a charming little house with a framed doorway, fun baseboards, and little windows along the top. I chose saturated prints for the house and light prints for the windows to create the sentiment of light and life inside the house. Definitely a sentiment I pulled from my own family! When Quiltmaker contacted me to let me know they picked my block I was so excited. I wanted to use this block in something other than a quilt for my house. My Friendly Neighbors Table Topper, that is shown in the Designer Gallery, uses four House on a Hill blocks plus a simple patchwork center. I love the star in a star effect, which was an unintentional but wonderful thing – don’t you love it when that happens? The octagonal shape makes it perfect for a circular table; I can’t wait to use it this autumn! 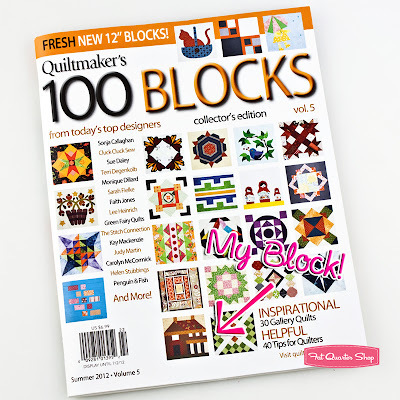 Thanks to Quiltmaker for selecting my block to be in 100 Blocks Volume 5! 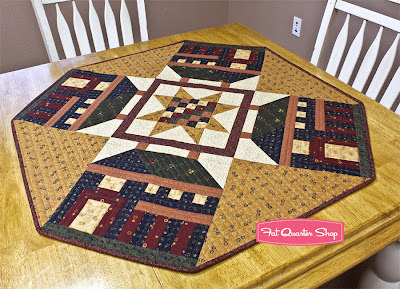 Give us a shout if you make the block or table topper too! We have made the pattern free for you here. Just click, save and enjoy! And now, what is a blog tour without a giveaway!? We will be giving away 5 copies of the 100 Blocks Volume 5 Magazine. All you have to do to enter in the Rafflecopter below telling me which Coming Soon collection you would make my block with.